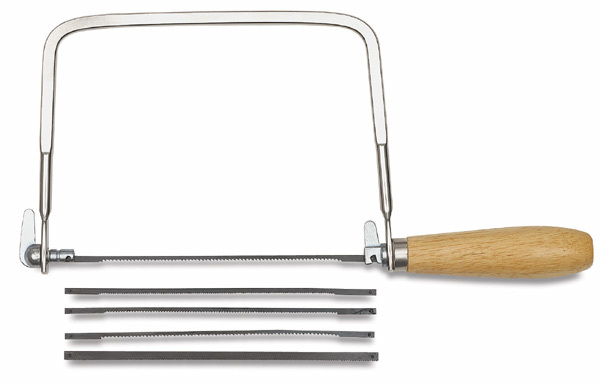 This coping saw is perfect for cutting plastic, cardboard, Styrofoam, metal, and intricate wood cutouts. It has an adjustable wooden handle that holds blades taut for positive control. Includes four assorted blades. 7" × 4½" D throat. Replacement Blades — Package of 4 blades each measuring 6½" long. 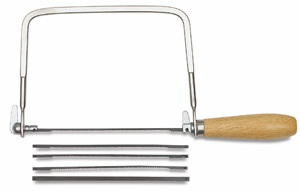 Great for cutting wood, plastic, rubber, and thin metal.